On Saturday evening January 6, 2018, Cassie closed her eyes one last time and peacefully slipped into the night, cuddled with love. Though my heart is beyond broken and my anguish knows no limits, I find solace and comfort in knowing the gift Cassie gave each Sunday on her pet therapy visits to Morgan Stanley Children’s Hospital of New York Presbyterian Hospital – Columbia Medical Center in New York City. Cassie came into this world on March 29, 2006, a life destined to make a difference, and eight weeks later we found each other and our life together began. 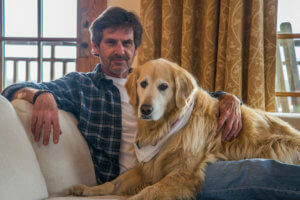 Cassie’s life was full and rich as much as she filled and enriched the lives of others. Her grace, warmth, and unbridled love was given equally to those who knew her well and to those who only met her only briefly. Wherever she went she was eager to greet everyone with a wagging tail and a nudge as if to say, “Please, it’s OK to pet me.” She adored children and the feeling was mutual. 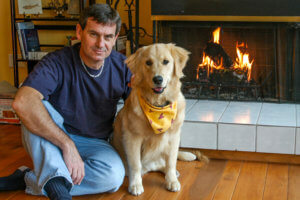 Possessed of a gentle disposition and even temperament, Cassie was born to be a therapy dog. 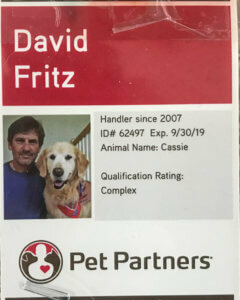 In 2007 at the age of one year, Cassie completed her first Pet Partners registration, and passed every biennial evaluation since then, including September 2017 at the age of 11 with a rating of Complex. 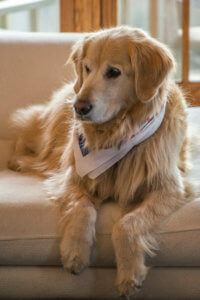 Cassie’s first year as a therapy dog included nursing homes, day care centers, and a juvenile correctional facility. 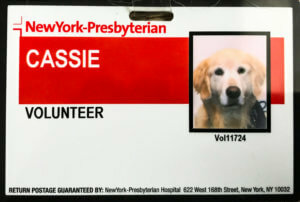 But in 2008 Cassie (and I) found her calling when we joined the Paw for Patients pet therapy program at the New York-Presbyterian’s Morgan Stanley Children’s Hospital of New York City. Her visits made a difference to the countless young patients she delighted, along with their families, and of course to the Hospital’s extraordinary family of doctors, nurses, staff and support services who week after week all came to know her and love her. Her service and giving came in many forms. 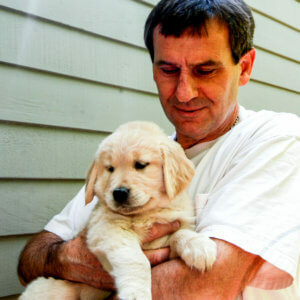 At times it might have been nothing more than eliciting a smile from a child confined to a hospital bed who had not yet smiled that day, or sitting at the bedside of a patient who had been waiting with anticipation for a visit from a four-legged friend. Other times she might have assisted by providing motivation for the patient to sit up or get out of bed and walk with her. It might also have been in the simple joy of offering Cassie a treat or in the warming comfort of quiet canine companionship. How often I would hear from a tearful parent how grateful that parent was for Cassie having made a difference for their child. 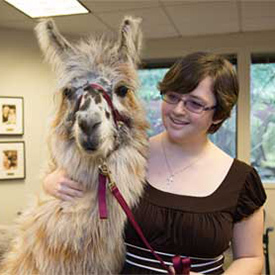 Yet Cassie was an equal opportunity therapy giver, as she was also there for the dedicated doctors and nurses who themselves might be in need of a little pet attention. Each floor’s nurses’ station often required a stop so they could shower Cassie with attention and get some puppy-love in return and take selfies with her. 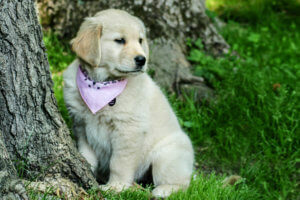 In 2015 NewYork-Presbyterian Hospital produced “A Day in the Life of Therapy Dog,” a short video of Cassie as she made her rounds with a GoPro camera mounted on her back. 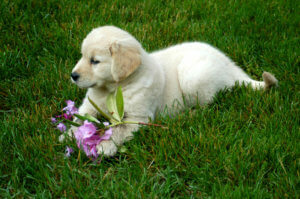 The video went on to win a public relations campaign award and was featured on the Pet Partners website. Shortly after the video was released Cassie was invited to appear on the ABC morning television program Good Morning America. Cassie visited Morgan Stanley Children’s Hospital for the last time on Christmas Eve Day and New Year’s Eve Day 2017. 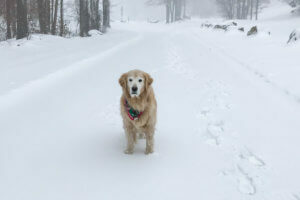 On January 6, the eve of what was to have been Cassie’s first visit of 2018, Cassie passed peacefully into the night. How heavy a price it is to have had, and now lost, the absolute joy, immeasurable companionship and unconditional love of Cassie. Yet how shallow and hollow my life would have otherwise been if to avoid this pain there had never been Cassie in my life. So often I was told Cassie is “such a sweet angel.” Now she truly is my angel with four paws and a feathered tail.